The National Trust for Historic Preservation has released its 29th annual list of America’s 11 Most Endangered Historic Places. The list highlights spaces across the country which the trust believes are at greatest risk of being lost. The National Trust for Historic Preservation is a privately funded non-profit organization that works to save endangered places and structures across the United States. The trust works with local governments, communities, and urban planners and architects to identify and save the countries most endangered places. This year’s list adds 11 new places to a list, which since 1988, has included more than 270 sites. Dozens of these sites have been saved and many more are on a positive path to rescue. Though the program has been decidedly successful, the list has also had its losses. Prentice Women’s Hospital was one of the structures from the list that was lost in 2014. The 2016 list of America’s 11 Most Endangered Historic Places includes: Azikiwe-Nkrumah Hall at Lincoln University, Lincoln, Pennsylvania Azikiwe-Nkrumah Hall is the oldest building on the Lincoln University campus. Lincoln University is was the first institution in the country to grant degrees to African Americans. Bears Ears, Southeastern Utah Bears Ears is a 1.9 million-acre landscape filled with archaeological sites, cliff dwellings, petroglyphs, and ancient roads reaching back 12,000 years. The site is now threatened by mismanaged recreational use and energy development. Charleston Naval Hospital District, North Charleston, South Carolina A historic district, the Charleston Naval Hospital District played an important role during World War II. Currently, a proposed rail line is threatening the site. Chihuahuita and El Segundo Barrio Neighborhoods, El Paso, Texas These neighborhoods in the heart of El Paso are filled with homes and small businesses that are threatened by demolition. Delta Queen, Houma, Louisiana A 1926 steamboat, the Delta Queen is among the last of its kind. Historic Downtown Flemington, Flemington, New Jersey A proposed development is threatening this historic downtown, which was the host of the “Trial of the Century,” the Charles Lindbergh baby kidnapping trial. James River, James County, Virginia The James River is the site of the first permanent English settlement in America. Proposed transmission lines are threatening the scenic integrity of the area. Lions Municipal Golf Course, Austin, Texas Credited with being the first desegregated municipal golf course, this civil rights landmark is facing redevelopment. Mitchell Park Domes, Milwaukee, Wisconsin The Mitchell Park Domes are considered a marvel of midcentury engineering. Degrading concrete has lead the county and city officials to discuss demolition. San Francisco Embarcadero, San Francisco, California San Francisco’s iconic waterfront is in need of long-term planning to address the threats of rising sea levels and seismic instability. Sunshine Mile, Tucson, Arizona The Sunshine Mile is a two-mile stretch of some of the Southwest’s most significant mid-century modern architecture. Milwaukee’s iconic Mitchell Park Domes may be in more danger from the unstable political ground they sit on than their direly needed repairs. 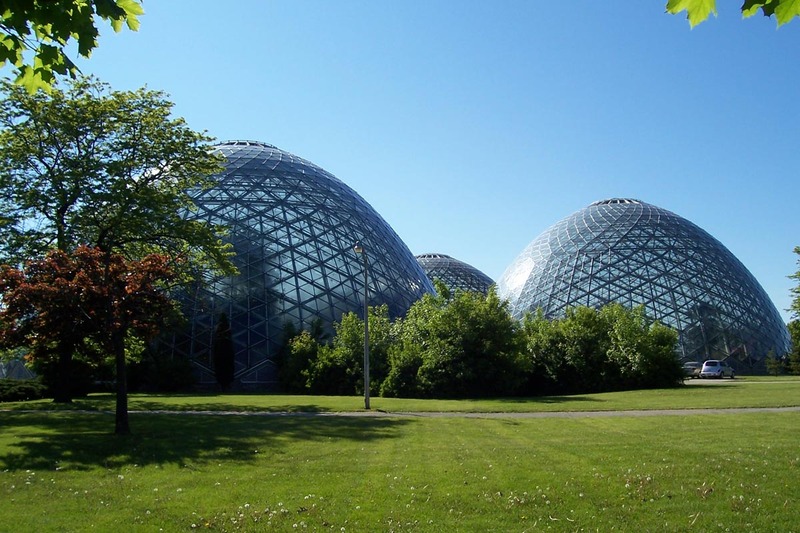 As previously reported by The Architect's Newspaper, the three conoidal glass conservatory domes closed in February due to safety concerns surrounding their deteriorating concrete. Since then, the Show Dome, filled with decorative plants, has been reopened, while the Desert and Tropical Domes have remained closed. The battle for what to do with the domes has been among the Milwaukee County Executive Chris Abele, the Milwaukee County Board, and the public. In March, Abele—who's purportedly in favor of demolition—convened a committee to discuss the future of the domes. Since that committee was convened without public notice, some are calling foul under the Wisconsin Open Meetings Law. At the same time, the Milwaukee County Board has assembled a task force to pursue a repair and preservation plan. Abele has recently expressed that he will work with the County Board team but will also continue to work with his own committee on plans for the domes. Both Abele’s and the County’s task force include business, non-profit, and community members. Currently, crews are working to wrap interior concrete members in an attempt to slow degradation. The Tropical and Desert Domes are expected to reopen in late September and late October, respectively. Built between 1959 and 1967, the domes are not geodesic as many initially think. 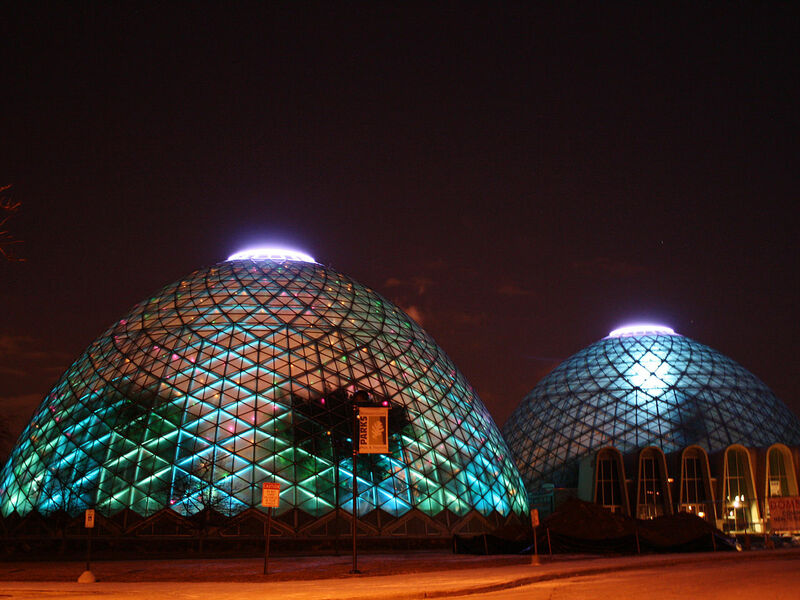 Designed by local architect Donald Grieb, the domes are conical in shape and built out of precast concrete rather than steel. A triangulated aluminum glass skin sits just above the concrete skeleton of the building. Over time, water from without and within has damaged the concrete, leading to the domes’ current predicament.